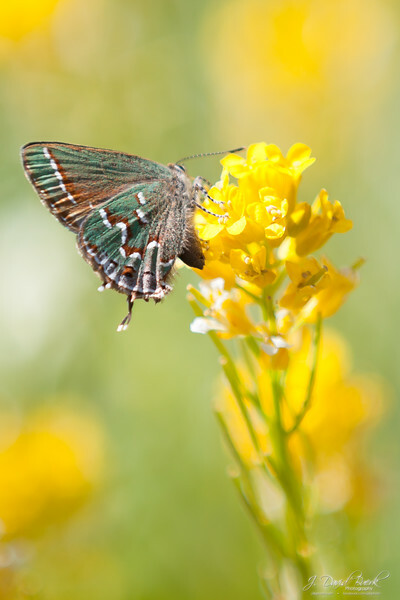 A Juniper Hairstreak (Callophrys gryneus). Unfortunately this is NOT the rare and endangered Hessel's Hairstreak butterfly, which has a characteristic spot on the forefront of its wings, rather than the pair of offset lines seen here. Its wings were no larger than a dime; it had about 4 or 5 friends nearby.